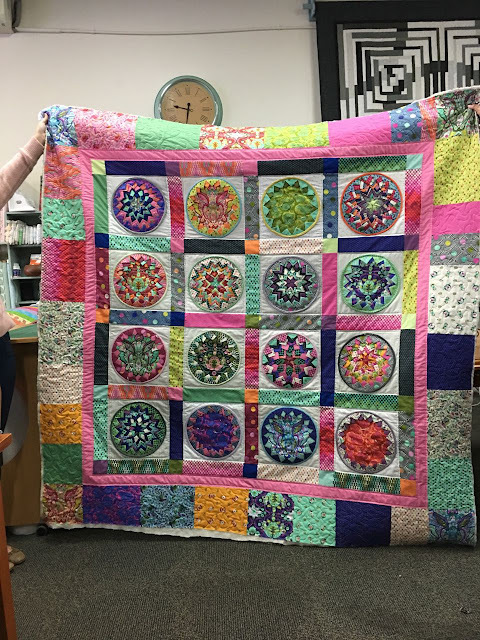 Sometimes being a quilter living in Australia can feel a long way from all the action that seems to happen in the US or Europe so it's such a treat when super stars travel the distance to come and visit us downunder. As soon the Anna Maria Horner 2018 Aussie Tour was announced I jumped at a ticket! I chose her Valuable Lessons workshop hosted by Material Obsession. The grand day was earlier this week. 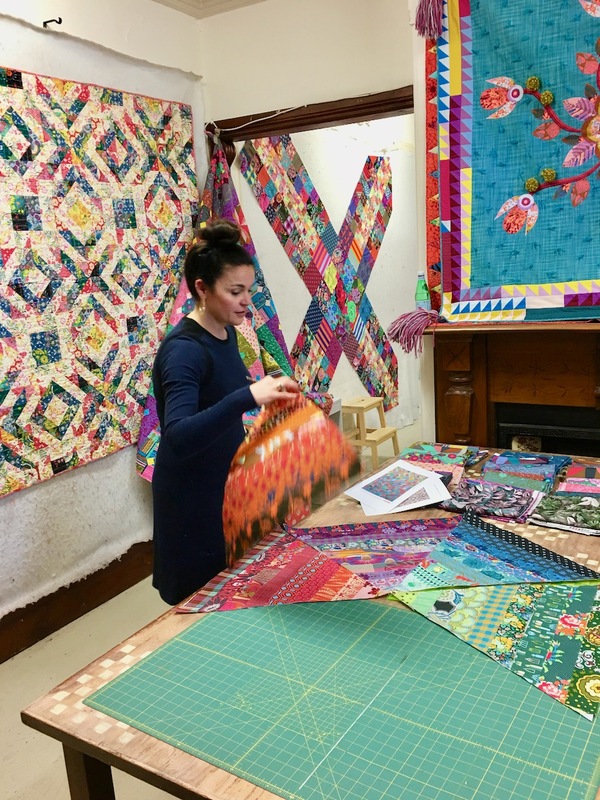 Anna began by talking to us in depth about her creative journey, studying art and design, designing fabric, finding her style in quilts, making quilts. 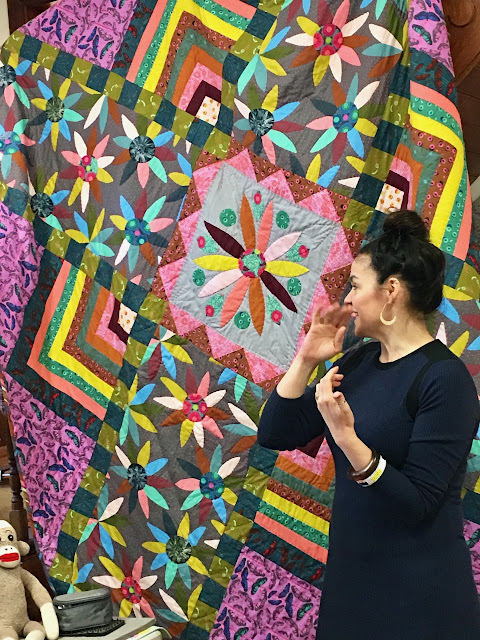 I was amazed at how many quilts she brought with her. Every square inch of the walls of the workshop area was festooned with her colourful masterpieces. 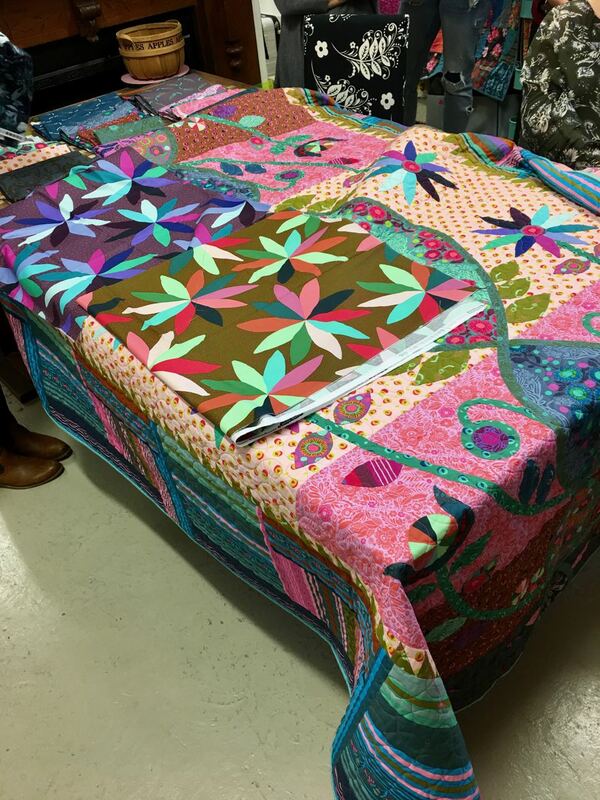 We got to see a preview of her new fabric range Passionflower which should arrive on our shores in the next few weeks. I particularly love this print that looks like big chunky applique flowers. You can see how wonderful and effective the fabric looks in this quilt. It's a mass of tumbling, sparkling flowers. This stripe is a brilliant too. I look at that and see so many wonderful uses and ideas!! Anna also introduced us to some fabric ranges that will be under her Conservatory label in which she collaborates with selected designers. I didn't take many photos but these will be fabulous fabrics to watch out for. Something fresh and new on the market. It wasn't all stories and show and tell. We also did some work. The workshop Valuable Lessons was about using value, the whole topic of light, medium and dark. I know my work tends to sit in the medium range with black and white as my light and shadows so it was good for me to think more about value in colour. 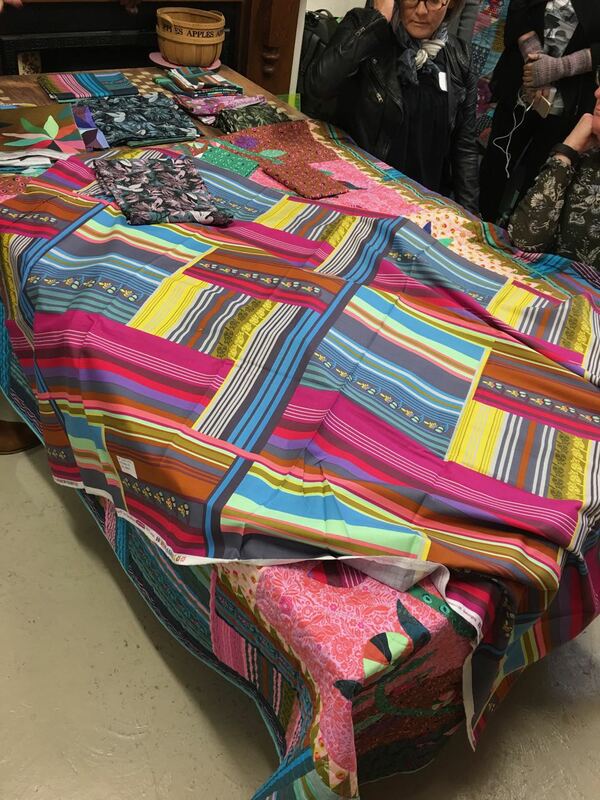 The day was hosted by Kathy Doughty and her wonderful team at Material Obsession. 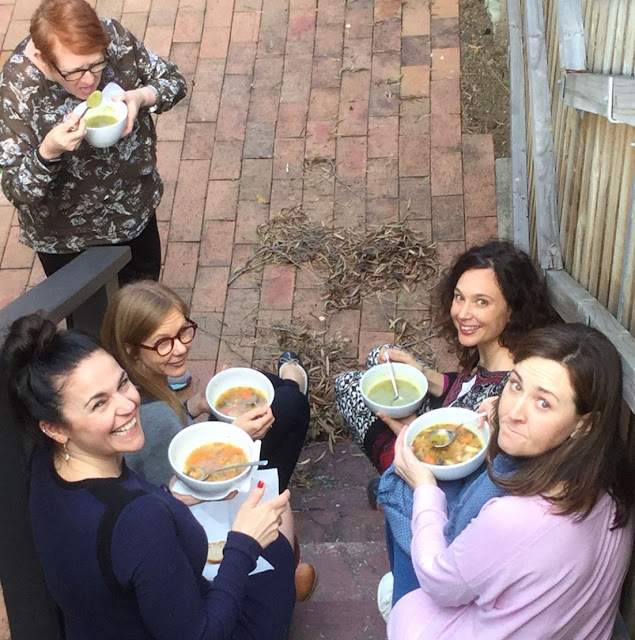 I love this photo Kathy took of us enjoying the sun at lunch time. Our smiles say it all - a perfect day in every way! Let's start with some show and tell from recent classes. 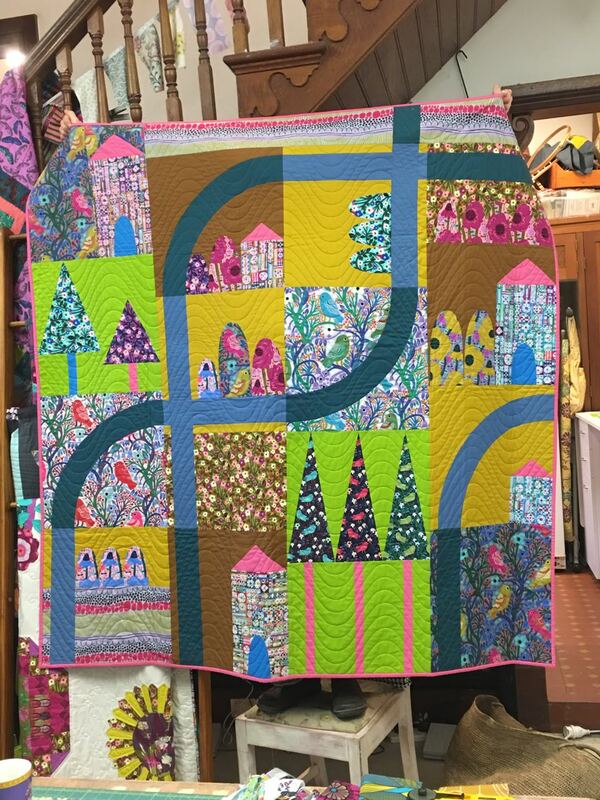 First up we have some finished quilts in our class at Sew Can I. 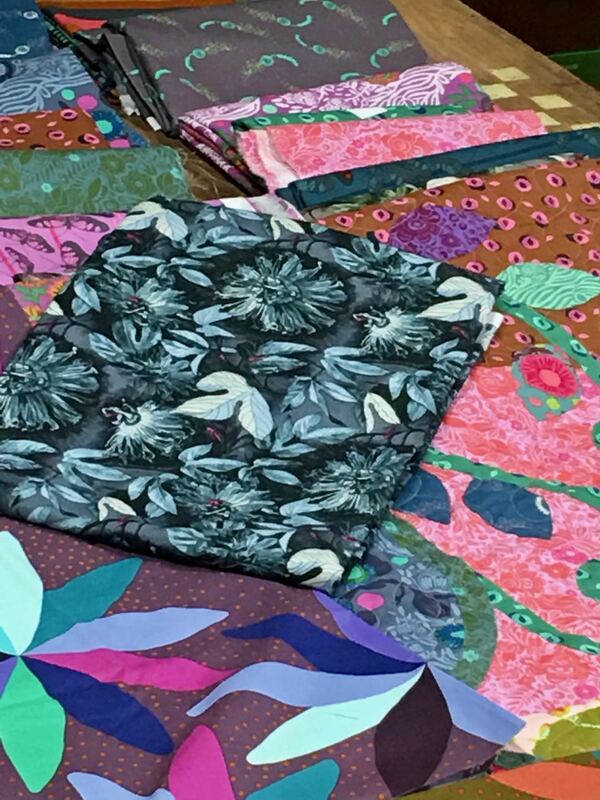 This is Lorraine's Tula Pink extravaganza!! Next time I'll get close up photos of the individual blocks. There are so many little details and wonderful use of fabric. 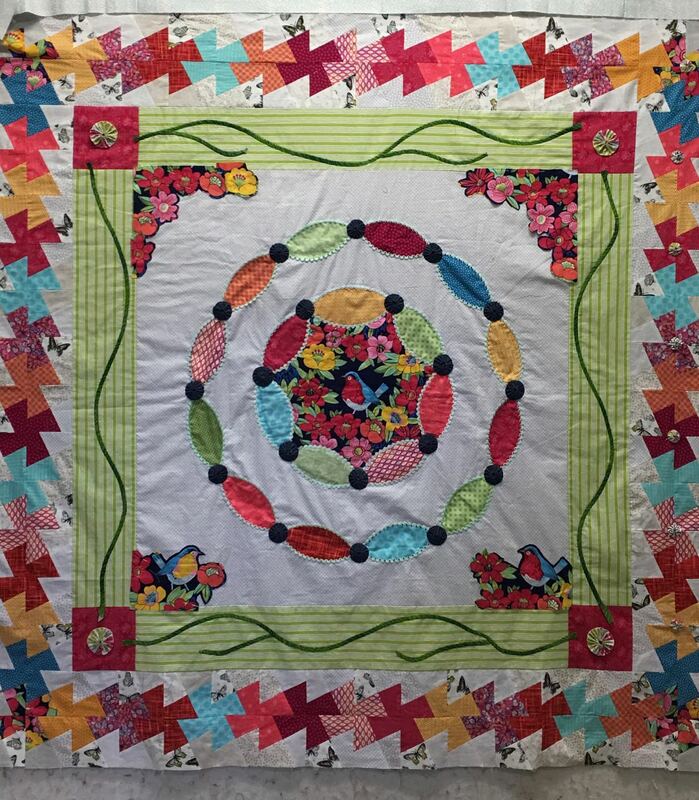 Wendy's quilt is a Mexican fiesta of prairie point frames! I love the way her black zig zag strips echo the shape of the triangles. 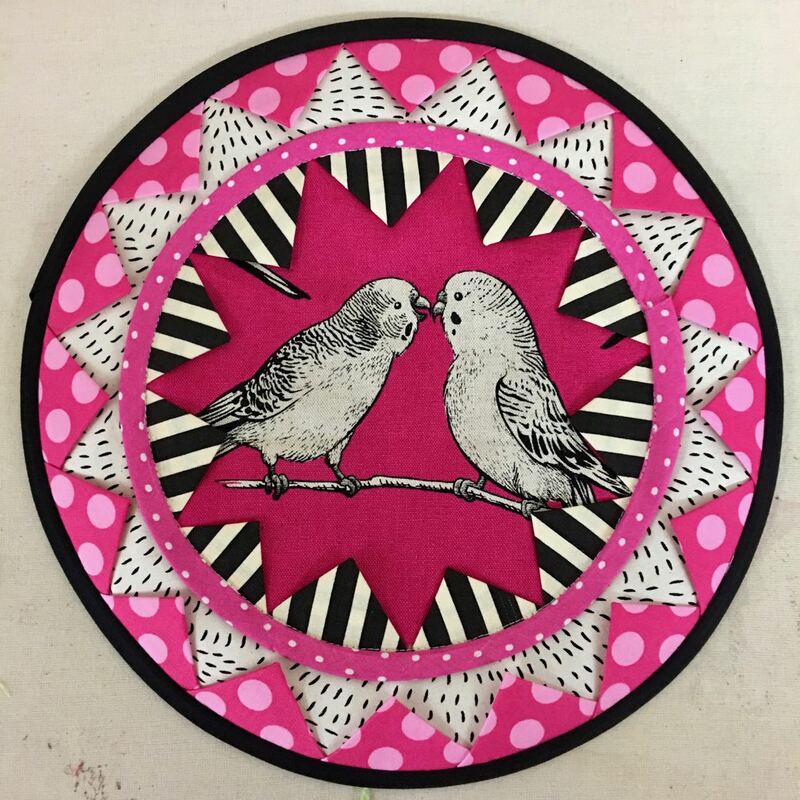 Here are a couple of circles from our class at My Sewing Supplies. 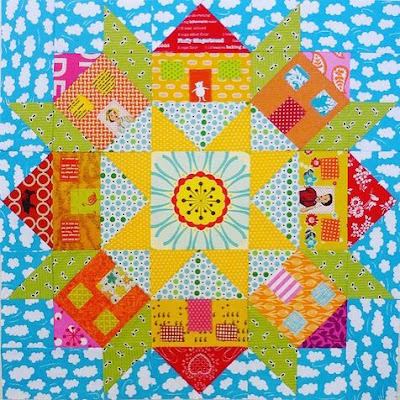 AnneMarie used some of Kathy Doughty's windmill fabric for the center of her block. I'd love to see a whole quilt of different circles using these fabric, it's just so perfect! Leonie's pink, black and white quilt is growing block by block. In our Material Obsession Friday class we've been playing with medallion quilts. 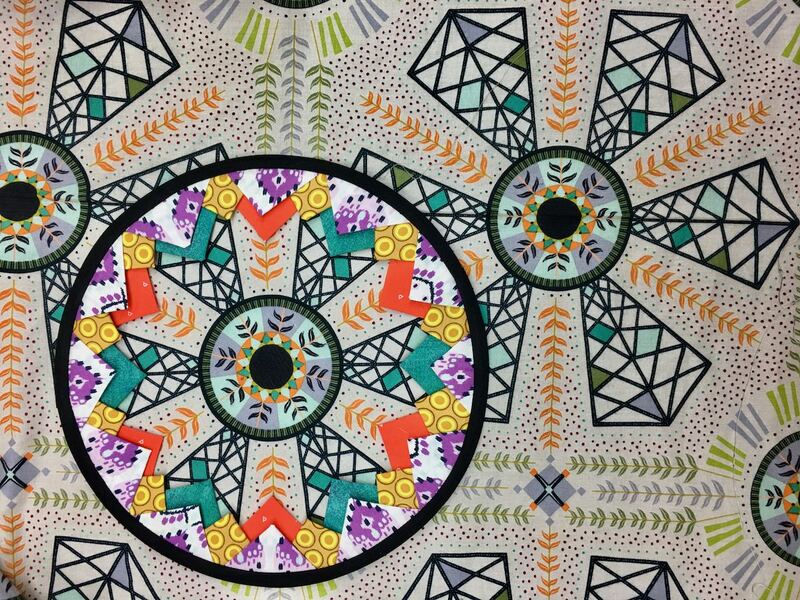 Fiona has based hers around Dresden Plate designs. I love the colour scheme. It's amazing for the amount of dark fabric Fiona has used, the clever use of colour makes it quite a bright quilt. The clamshells with a couple of pops of colour is so effective. Marissa is creating a beautiful garden. She has also added clamshell bushes and hedges and trees and all sorts of beautiful borders. 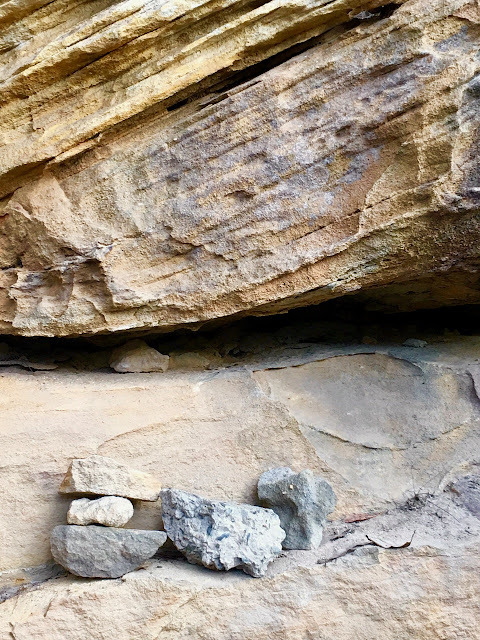 There are little birds and butterflies peeking through here, there and everywhere. 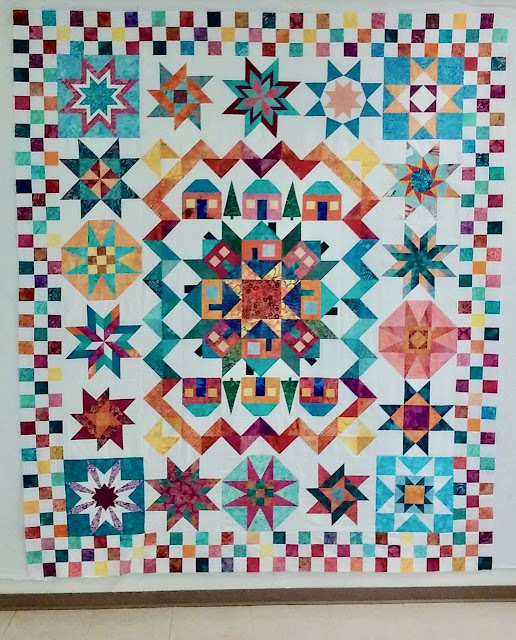 Jan from Nesting Needles sent me this photo of her work in progress. It's so perfect and beautiful in every way!! I recently shared a blast from the past on my instagram feed. For those who haven't seen it before here is my little Swoon Village. I was very honoured that the Stash Busters of Seattle used it in the center of their raffle quilt last year. 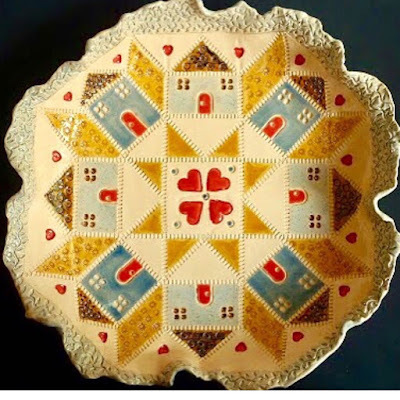 And I'll be forever tickled pink that it inspired Catherine Daniels to make a ceramic platter using the design. 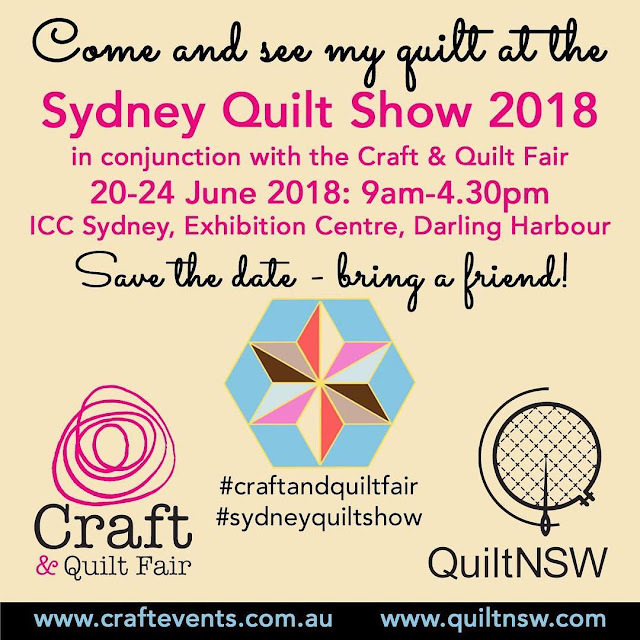 The Sydney Quilt Show is on next week. My favourite event of the year!! 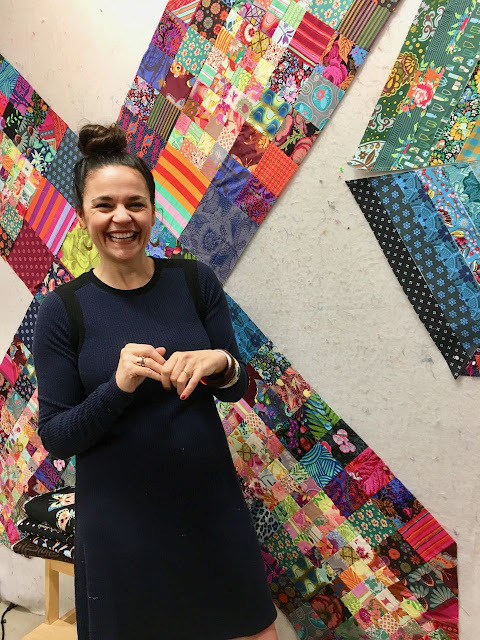 It's one big giant friendly quilter catch up and the biggest show of quilts in the Southern Hemisphere!! 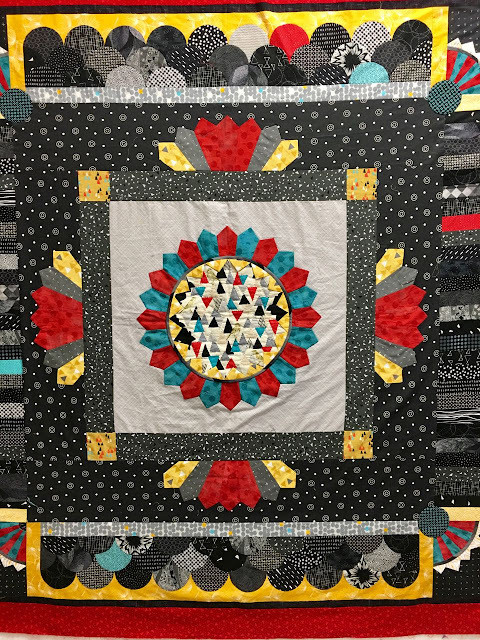 I only have one small quilt in the show this year. I withdrew my big quilt as I didn't want to rush making it and I have been a bit busy in recent times. Part of me is a disappointed because so many people have been saying they're looking forward to seeing what I've come up with this year and I don't want them to be disappointed, but then on the other hand I'm glad because having more time to think about the quilt has meant I've changed my mind about the layout. In fact knowing me I'll probably change my mind a few more times too. 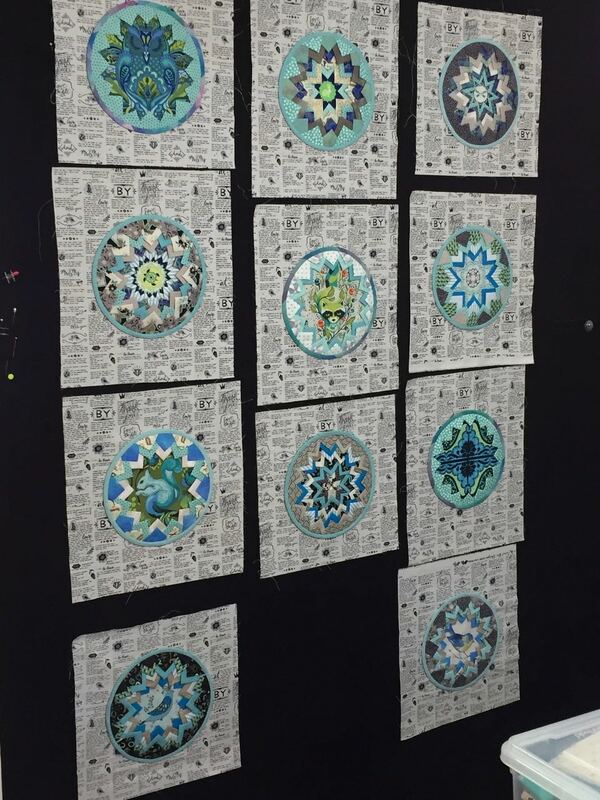 I'm very, very, very excited that some of my student's work will be in the show. As you can imagine I'm going to be like a proud mother hen and share lots of photos in my next post. Here are the dates and details of the show. I've included the photography policy because every show has different rules. The most important part is to always acknowledge the maker and designer. 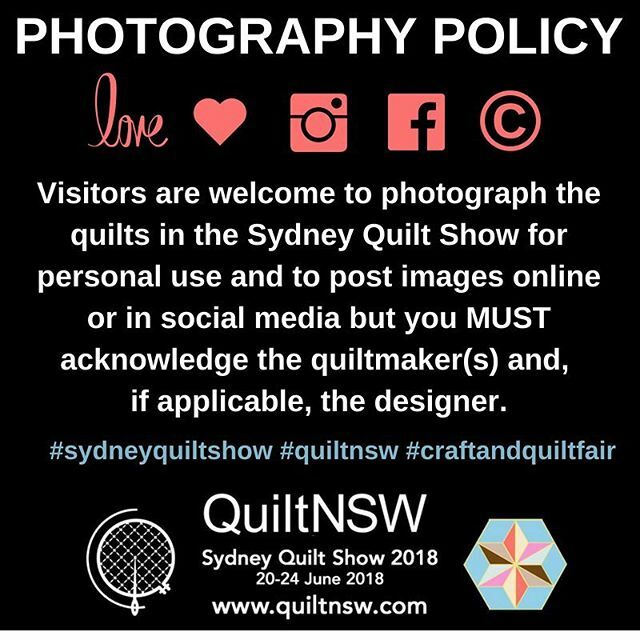 It's the respectful thing to do, plus tagging the maker/designer is a wonderful way to let the quilter know you like their quilt. I know I'm always so pleased to see someone liked one of my quilts enough to share it. 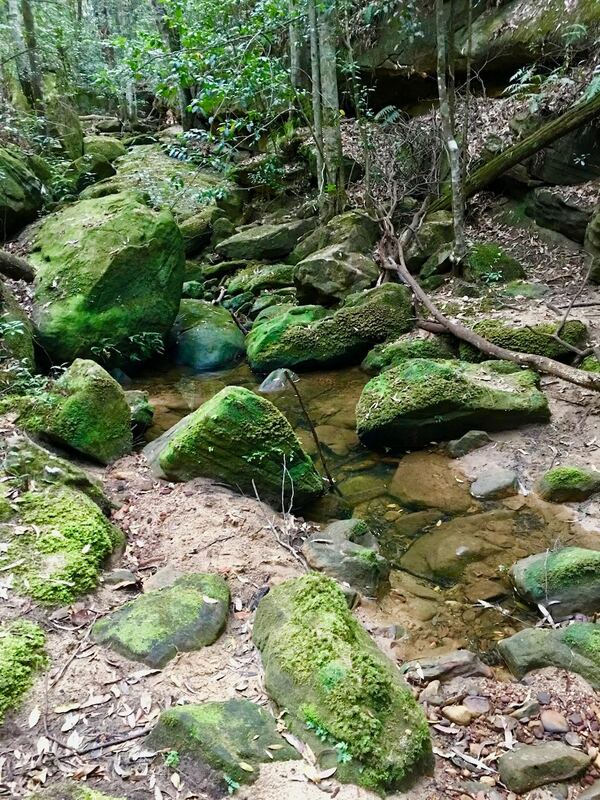 And finally some photos from my mountain walks, the place where I find serenity and recharge my batteries. And with that I'll wish you wonderful days and happy times until I return with more colourful snaps and snippets. You’ve been having done fun times! Always great to see your life updates. Can’t wait to give you a squeeze on Tursdsy! I definitely need to make a trip to Australia and not just for the quilts! more super fun times ! 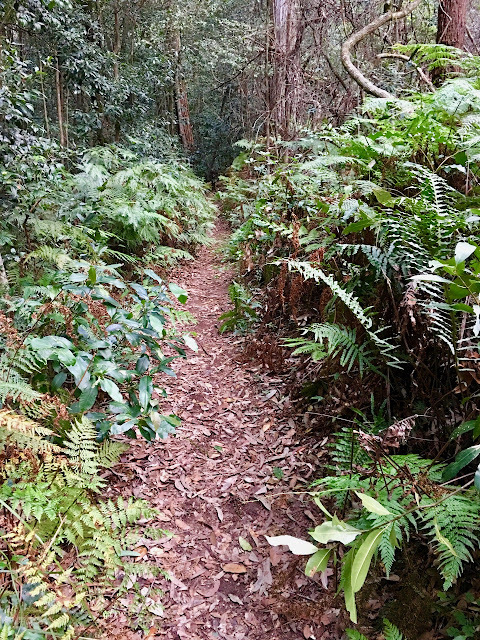 I loved seeing the nature photos. 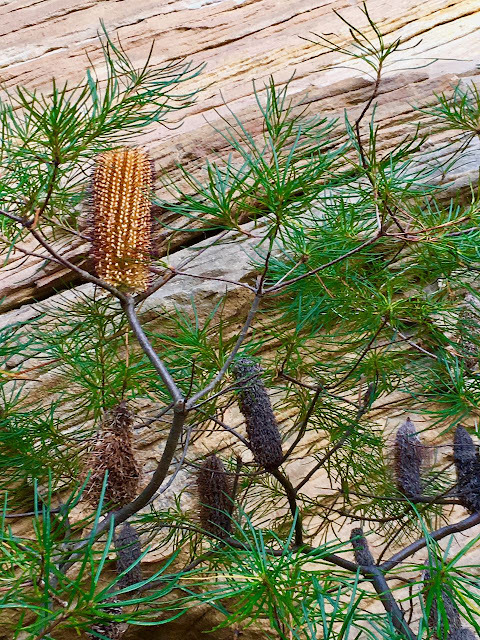 You have such different plants in AU. This post is just packed with so much! Lots of beauty, lots of color. I'm looking forward to seeing what comes of your nature walks after your time with Anna Maria! 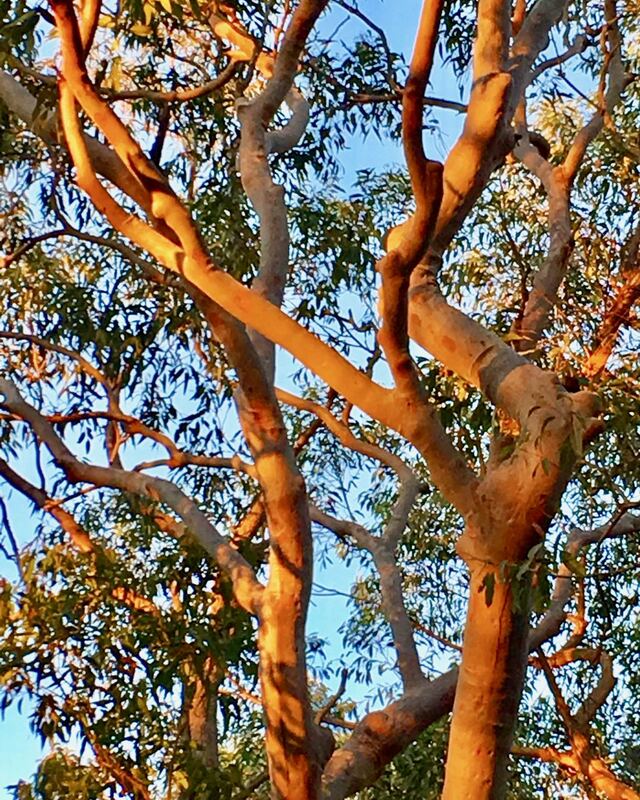 A veritable feast for the senses in this super post!! I need to read over again, so many lovely photographs and your Swoon Village is beautiful. 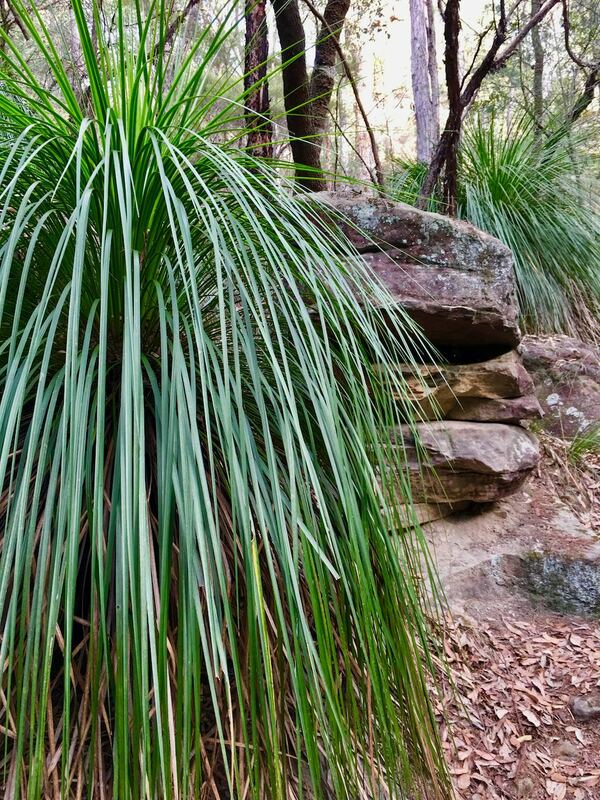 Those photos of the bush are magnificent! It looks like a wonderful time wit Anna Maria Horner.I am sure there were loads of great ideas all through the sessions. 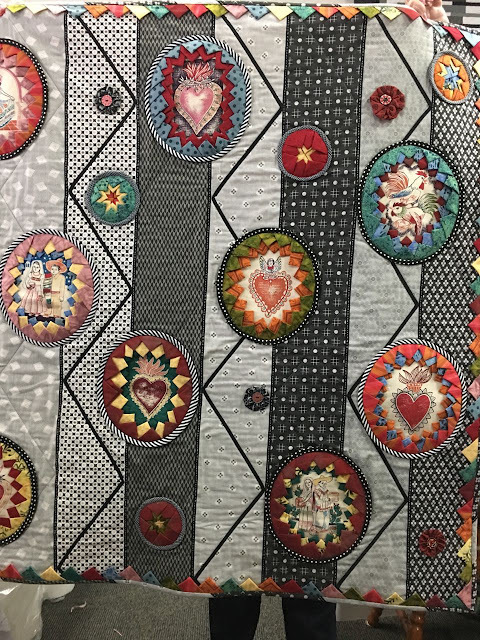 It is a delight to see the quilts made in your classes. They are all so different and very individual. I think they are wonderful. 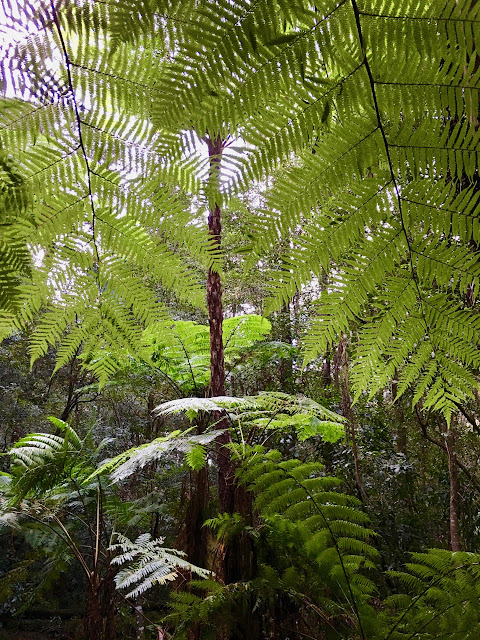 Have a wonderful time at the Sydney Show. You certainly pack a lot into your life! 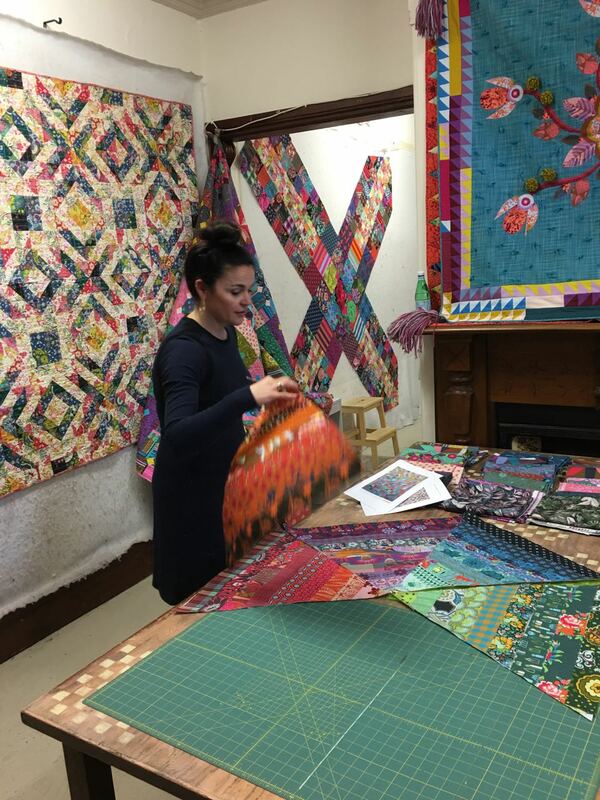 The AMH class looks fab, not to mention all her lovely fabrics. What a lovely day you must have had with Anna. I'll definitely be keeping an eye out for your quilt and those of your students when I'm at the show. The photos of the bush in your area are gorgeous, but I think they were not taken today - it is far too cold and bleak. We look forward to some more sunny warm days in a couple of months time. This is a perfect Blue Mountain Daisy post in every way!!! I just soaked up all the sharing and creative happiness, and then your restful gorgeous mountain photos to top that off??? So glad to have fresh coffee and some time to “visit” this morning!!! xo! i really love your work so bright and beautiful. 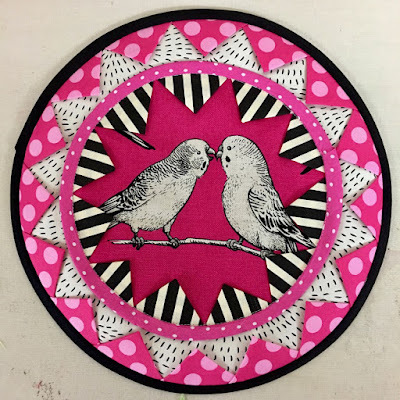 Do you have an online class I can participate in as I would love to make some of your folded circles. 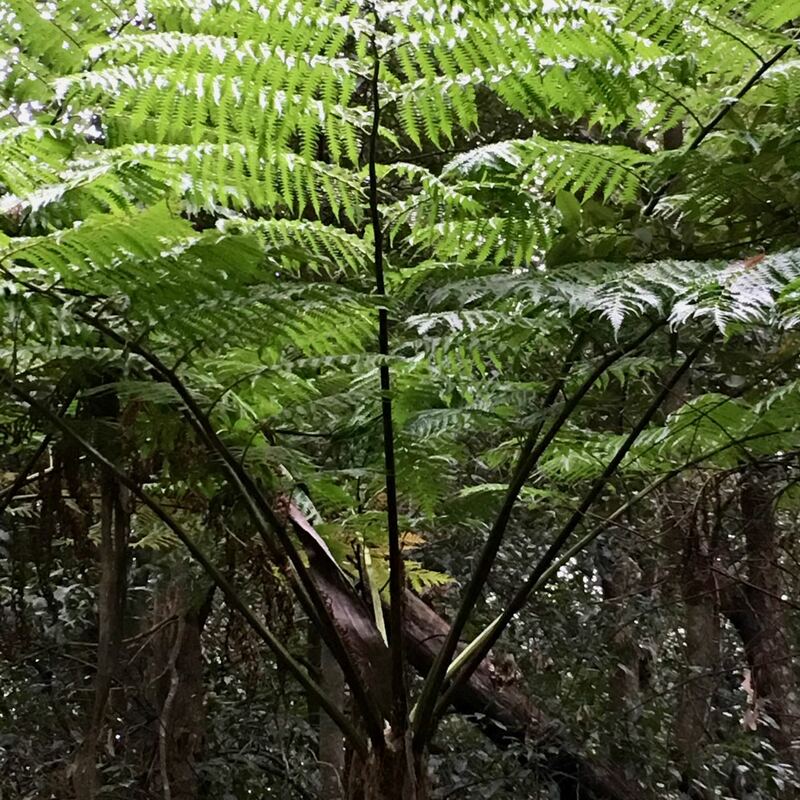 i have not been able to attend any classes as I live in Lake Macquarie. 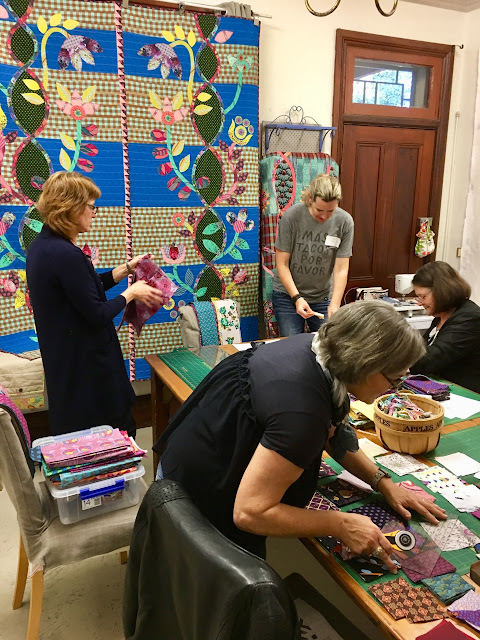 Alternatively would you be interested in doing a workshop at Wangi Wangi quilters group?